Being listed for the first time by its original owners the interiors are presented in fresh and comfortable order and feature five generous bedrooms, including a king-sized a master with walk-in robe and en-suite. There are separate lounge and dining rooms plus a downstairs level with a media/games room, sitting room and an additional guest bedroom with bathroom. 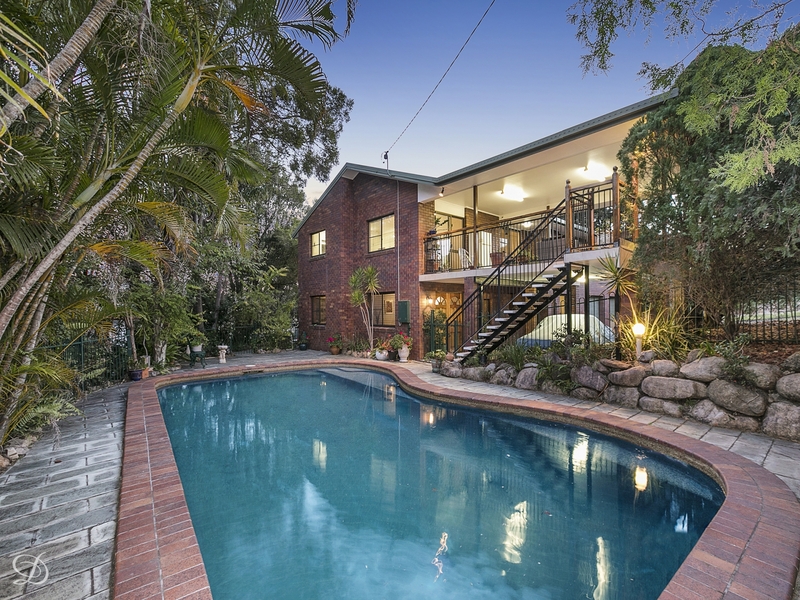 Everton Hills buyers will truly appreciate the size of this property. It features an expansive covered entertainment terrace, enormous 10-meter salt water swimming pool with water fall feature. There is also parking space for multiple vehicles under the house as well as two separate double garages at the rear of the property. This spacious home is an entertainer's delight and presented in great condition. It is also ideally located 10kms to the Brisbane CBD within walking distance to Arana Hills Plaza, as well as local schools, parklands, buses trains. • Secure under cover parking for seven vehicles. • Solar panels, three large water tanks with pumps. • New carpets and beautiful polished hardwood floors.